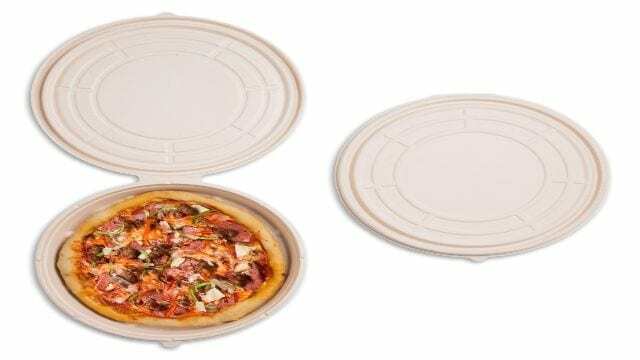 USA – World Centric, maker of certified compostable products has unveiled a new, full circle pizza box, ‘PizzaRound™’, a certified compostable pizza container that delivers operational, environmental and customer benefits. According to the company, the box reduces packaging waste labor, space, grease and sogginess as opposed to traditional cardboard pizza boxes. It is made from renewable sources that is, 80% sugarcane and 20% bamboo offering the best sustainability needed in the food chain. In this way, the innovation helps pizza takeout/delivery restaurants reduce on their environmental and carbon footprints. In addition, it requires less packaging, has improved heat retention, built-in grease grooves, and air vents as well as raised ‘dimples’ that help maintain crispness. Customers can find convenience in using the product since it is ovenable to 450° for reheating, a removable top that doubles as a server and a dish, and cutting guides for perfect portioning. “Our focus for the past 14 years has been to help the foodservice industry reduce waste and improve its stewardship of the earth,” said Mark Stephany, SVP of Sales for World Centric. According to World Pizza Champion Glenn Cybulski, the new container allows takeout and delivery pizzas to be hotter, crisper and free of the cardboard taste that often transfers to the pie in paper containers, reheated in the box they come in, and more sustainable and efficient for pizza restaurants at the same time.